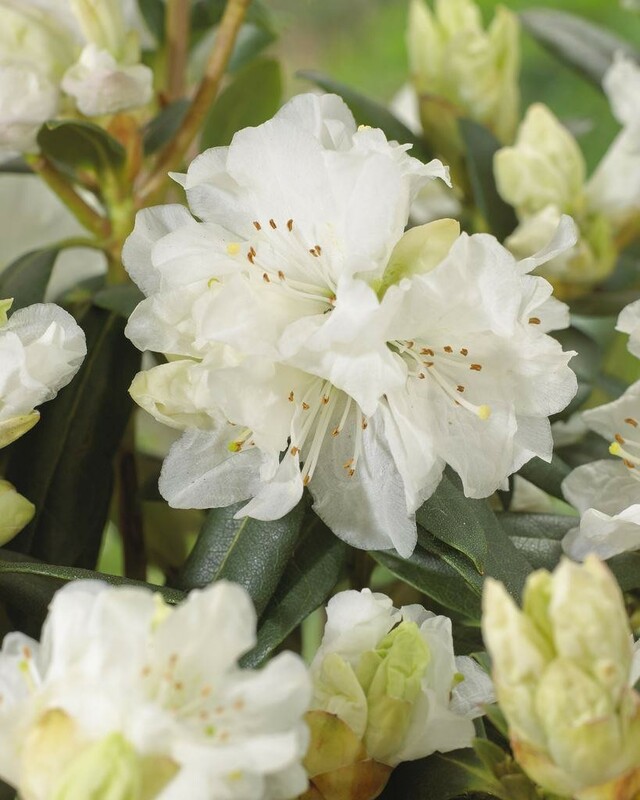 'Dora Amateis' is an outstanding compact, low-spreading and hardy variety of Rhododendron. 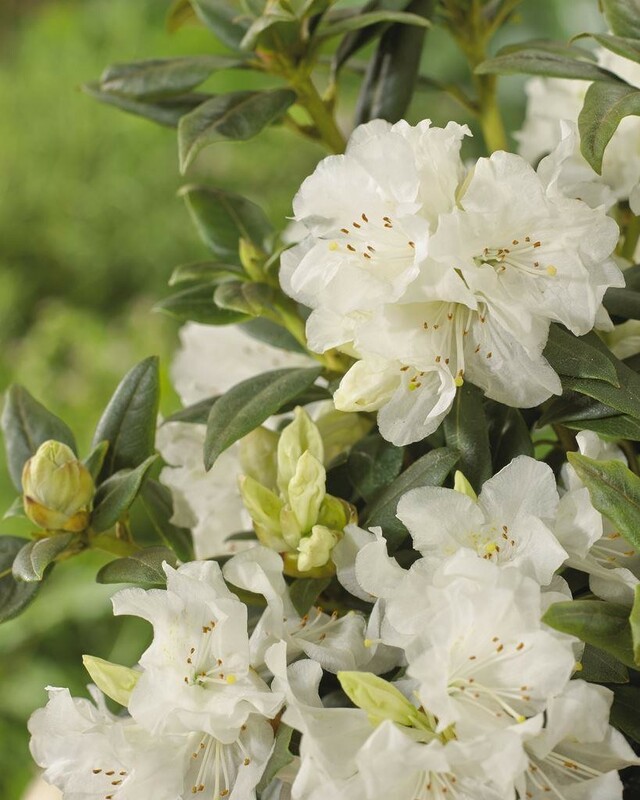 With small, dark-green, evergreen foliage that will turn shades of bronze if grown in full sun. A very free-flowering variety, in Spring it has hard to even make out the foliage behind the abundance of flowers! Pale pink buds open up to form stunning white flowers with a tinge of pink, often with a faint speckling of green and pink inside. Adaptable, hardy and easy-to-grow, 'Dora Amateis' is a must-have for your garden. Compact, reaching a max height of approx. 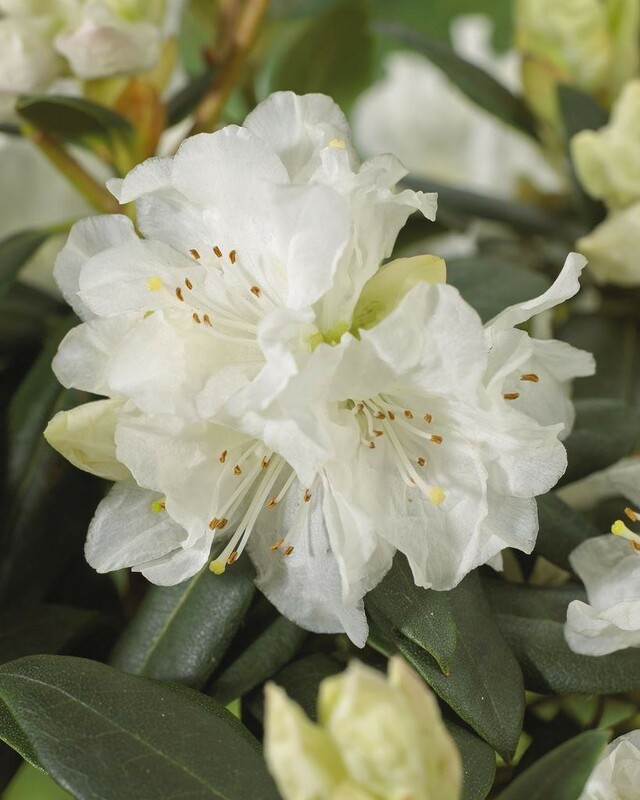 80cms when fully established, it is the ideal solution for that small, tricky space or for adding some colour to your patio when planted in pots. 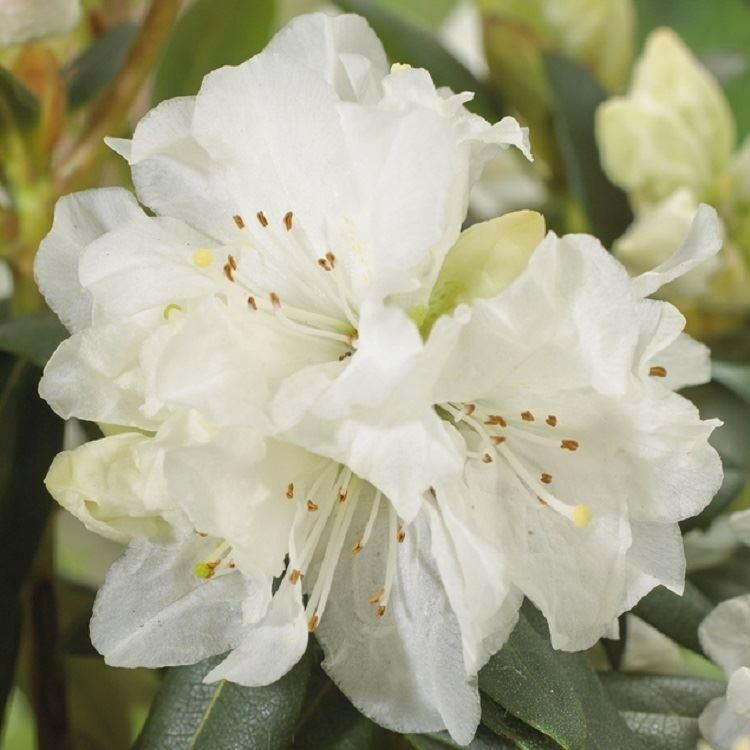 Prefers slightly acidic, moist, well-drained soil and this variety is adaptable, thriving in full sun or shade, although flowers will last longer in slight shade. Strong, bushy plants supplied in an approx. 2-3litre container.